I reflect on the TV show ‘Cops’ and their goofy little, rap-like, theme song by Bob Marley that includes the phrase “whatcha ya gonna do when they come for you?” That phrase warrants some consideration these days. When confronted with law enforcement there has always been the expectation in America (whether you’re guilty of ‘something’ or innocent) that your situation will be mitigated via a “fair trial”, an expectation of procedural fairness, and an expectation that you, as a ‘person’ have Rights that will be respected. Even in a war situation, when confronted with superior force, there has existed the ‘option’ of honorable surrender to the opposing force. The concept being (throughout history) that the victor was often bound by ‘honor’ (and later, by the Geneva Convention) to give quarter to a surrendering foe. The expectation was they would not be killed having surrendered, rather, that they could expect fair treatment, safety and eventual repatriation after hostilities ended. Our Constitution is (‘was’ is a better word these days) clear: no person can be held without due process and no person can be subjected to cruel and unusual punishment. U.S. law on torture, of any kind, is crystal clear: it is forbidden, categorically, even in time of “national emergency.” And the instigation of torture is, under U.S. law, a capital crime. No person can be tortured, at any time, for any reason, and there are no immunities whatsoever for torture offered anywhere in the law – until now, of course. 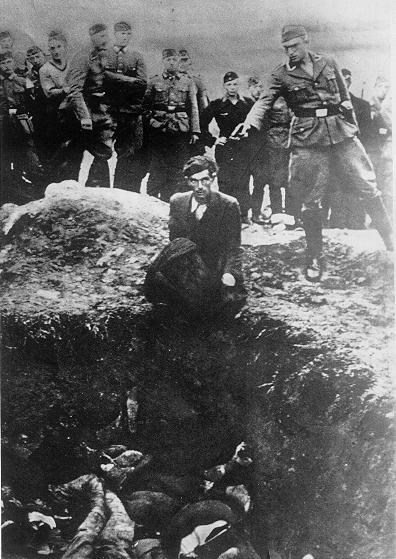 More than sixty years ago, in a series of trials conducted in Nuremberg, Germany and, to a lesser degree, in Japan, the United States and its allies made history by holding defeated German officials and military officers accountable for war crimes and crimes against humanity that were committed during World War II, including abductions, disappearances, torture, and genocide. Japanese were specifically prosecuted for water boarding (defined as torture – ‘then’) of prisoners. The Nuremberg judgments, in turn, had a critical part in the birth of the international human rights movement. In the ashes of World War II, many nations, working with the United States, created a regime of rights and responsibility designed to affirm the inviolability of human dignity and to ensure that such atrocities would not happen again. All of that appears to have been kicked under a bus with today’s laws and the government’s publicly stated policies. Today our country’s government has imprisoned over 2,500 children since 9/11 as “enemy combatants” in violation of the Geneva Convention provisions against classifying children as POWs. Pulitzer-prize winning reporter Seymour Hersh has claimed that the U.S. Government has videotapes of boys being raped at Abu Ghraib prison and that assistant deputy Attorney General (under Bush) John Yoo publicly argued that the president can order the torture of a child of a suspect in custody (think about “a child of a suspect”…) – including by crushing that child’s testicles. Consider that lately the Obama administration has gotten the court to acquiesce that anyone who is arbitrarily declared a “suspected enemy combatant” by the president or his designated minions is no longer a “person”, thus should no longer ‘expect’ any human Rights to be provided. Couple that with the comments made by Dennis Blair, (former) director of National Intelligence to the House Intelligence Committee that it was now “defined policy” that the U.S. government can kill its own citizens ‘if’, in the government’s judgment, an American is a “terrorist” threat. No arrest, no trial, no conviction – on suspicion of being a threat – just assassination/execution. So, here’s my concern. If a Citizen (at the whim of the government or it’s operatives) can no longer rely upon being afforded the Rights of a “person” under our Constitution, if there’s the remotest possibility their Rights, previously taken for granted, can be denied them at the whim of the government, if the government contends that torture or indefinite incarceration with no hope for a day in court is legally permissible or, as admitted by the Director of National Intelligence, the government can murder its own Citizens without due process, then essentially there will, eventually, occur a paradigm shift in how the Citizenry ‘generally’ sees their interaction with or compliance to federal (or local) law enforcement. On a battlefield, were there no hope for honorable surrender, why would any combatant lay down their arms (even in the face of overwhelming force) when the best they may hope for is torture, death or never being released from captivity? Fighting ‘to the last man’, or the last bullet, would no longer seem a foolish waste but, in fact, the only course of action that might be reasonable given the reality of capture, torture and death. My fear is that in a domestic criminal arrest situation (or even a detained interrogation), where would the incentive be to ‘surrender’ to these people? Why would anyone submit to arrest or “go quietly” when dealing with federal law enforcement types ‘if’ (for whatever reason), there is a public awareness or shift in attitude such that Citizens no longer trust that fair treatment is guaranteed or may be forthcoming, that they might expect a fair trial or that, in fact, the authorities could (legally) torture a confession from them (or torture their children to force their compliance or confession) or, even assassinate them on a whim? Where’s the incentive to afford them (the feds) any respect (or obedience) they may have previously been entitled to, if they are no longer bound to treat you as a Citizen having Rights or even a human being after you’re in custody? This entry was posted in US Law and tagged 9/11, Abu Ghraib, Constitution, Dennis Blair, due process, enemy combatant, Geneva Convention, human rights, John Yoo, law enforcement, Military Commissions Act, Nuremberg, Patriot Act, Rights, Section 802, terror, torture, water boarding, whatcha ya gonna do when they come for you?. Bookmark the permalink.